Whether you take to the knee often or not, it doesn’t take much to sit back and enjoy the refinement of the craft that goes into a truly good jackstance style. Perhaps the epitome of that is the power, aggression and pure steeze that makes up Gary Thatcher. For years, this unsung hero has dominated much of the DK contest in Australia and his technical ability in waves of varying sizes was undoubtedly refined on his home of the notoriously less-than-powerful breaks of the Sunshine Coast. Perhaps tacitly eluding to his absolute commitment to the knee, GT recently adopted his preferred stance back on land, in front of his then fiancé, Rachel. But despite this very recent tie-ing of the knot, Thatcher very graciously took a solid chunk of post-honeymoon time to sit down for a chat with us. What emerged was a man of pure talent but also absolute love for the craft of the boog. Movement: Can you tell us a bit about your background, mate? Where and when did you start on the boog and did you take to the keen immediately? 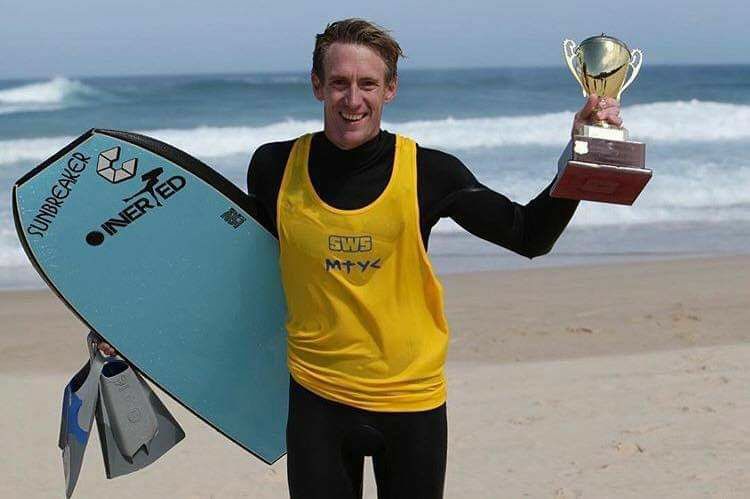 Gary Thatcher: I started body boarding when i was about thirteen growing up on the Sunshine Coast. My brother got me into the sport when we would go on family holidays up Double Island. The first board i had was a Kainoa McGee that gave you a mad rash. I didn't get up on the knee till around 12 months later. My brother and I would push each other with the 'Jack Stance' seeing who could do it better. I suppose this is where i got my competitiveness from. All through school I was a natural at all sports, i played tennis, basketball, soccer and baseball changing every year which gave my parents the shits. What draws you to continue to dominate and refine the DK style? And who has your inspiration been here? Some people like chasing big waves, some enjoy free surfing and others just like getting the shots though i enjoy the competitive side of the sport and travelling to comps and different breaks in general. I would like to think that i push myself, constantly reassessing my goals. What have you been up to lately in terms of competing, traveling etc? This year i wanted to compete in events that were run by body boarders and gave back to the people in the sport. The two big events that i thoroughly enjoy and go in every year are the Jeff Wilcox Memorial and Drop Knee Sessions. These guys really know how to run an event that always has good vibes. I haven't traveled much this year after buying a house and getting married to the love of my life Rachel. What’s the DK scene like in Aus at the moment and how does that compare to the rest of the world? I think DK in Australia is pretty low as for the competition side of things. A lot more needs to be done to get Drop Knee riders back on the scene. there are so many underground guys in Australia that would be willing to give the comps a crack if they had good structure. What’s your kind of criteria that you look for in a good DK rider? What makes someone good on the knee? Control and power, i like to see things done with speed and aggression. Where do you see the sport going generally at the moment and how do you feel about that trajectory? To tell you the truth I don't know where DK is going, it seems to be quite stagnant with no real support there. It doesn't really bother me though, it is what you make it. I'm having fun and that's all that matters to me right now. What’s on the cards for you personally at the moment, mate? You were just married, right!? How does getting on the boog fit in with the rest of your life? Haha, I think it’s how the rest of my life fits in with me getting on the Boog! As long as I'm in the water I'm a happy man. My wife encourages this generally as I'm pretty awful to be around when I haven't had a surf. What’s on the horizon for Gary Thatcher? I'm hoping to compete in the World title when it picks back up. My Wife and I want to get a motor home and travel Australia competing along the way.